4 p.m. Moffat County High School C football vs. Meeker High School at the Bulldog Proving Grounds. 4 p.m. Moffat County High School volleyball C, JV (5 p.m.) and varsity (6 p.m.) vs. Grand Valley at the MCHS gym. 5 p.m. Craig Middle School volleyball at Little Snake River School. 4 p.m. Moffat County High School boys soccer vs. Grand Valley High School at Loudy-Simpson Park. 7 p.m. Moffat County High School football team vs. Summit County at the Bulldog Proving Grounds. 9 a.m. Craig Middle School volleyball vs. Steamboat Springs at CMS. 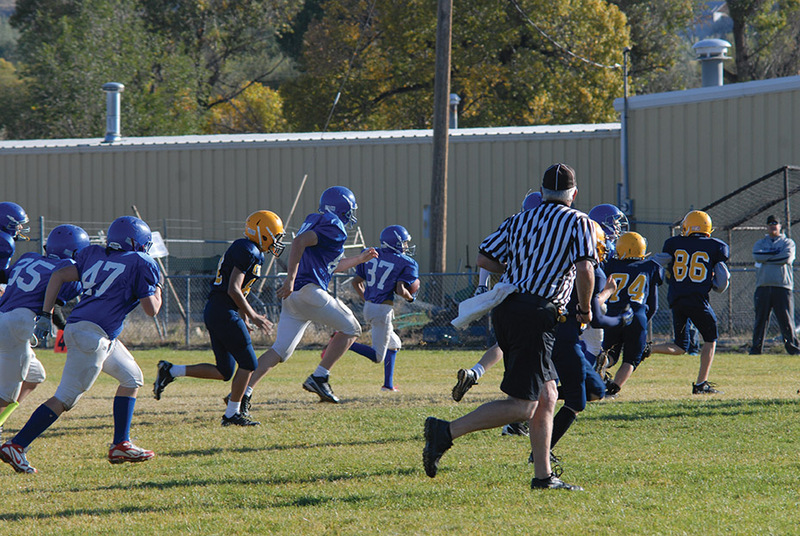 4 p.m. Craig Middle School 7th and 8th (5:30 p.m.) grade football vs. Steamboat Springs at CMS.